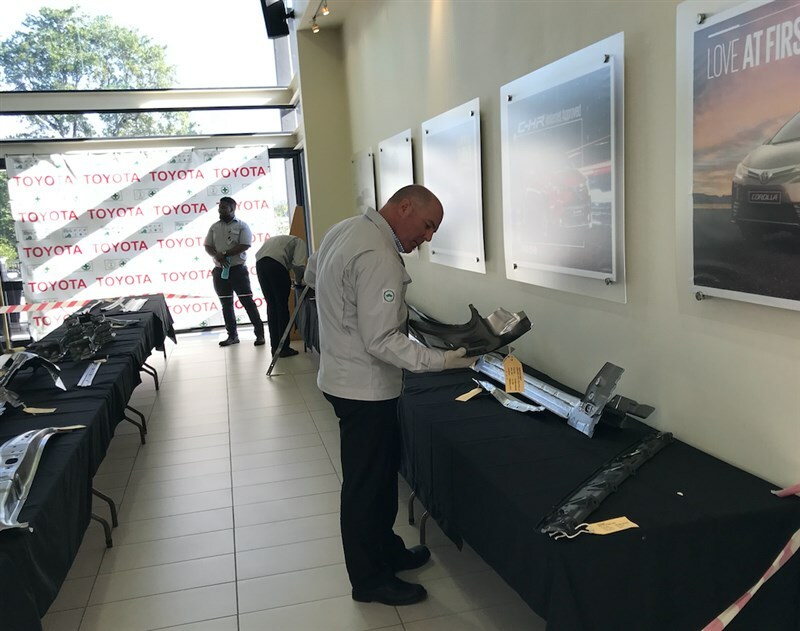 The recent Toyota South Africa Motors “International Multipurpose Vehicle (IMV) Imported Parts Exhibition” was held in Durban and was attended by more than 40 suppliers, as well as the Durban Automotive Cluster (DAC). The attending suppliers viewed more than 800 components that are open to localisation, in what TSAM calls their IMV Localisation drive ‘3 point 5’. The exhibition allowed attendees to see the part and its volume, and then identify which they wanted to quote on, by affixing a sticker with their name onto each part. TSAM will now share the technical drawings, specifications and the quotation template. 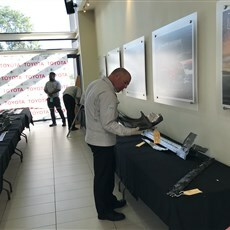 TSAM Senior Purchasing Manager, Theo Govender, explained that at the model change in 2016, double the number of parts were localised. The previous IMV (Hilux/Fortuner) had 1307 local components and the new IMV, 2673. Since this launch, in phase one of TSAM’s localisation drive, 83 parts were localised, then 127 and 88 parts are currently being localised in phase 3. With TSAM approaching midway through the IMV model cycle, and the localisation process taking up to two years, this is last window for meaningful localisation for TSAM’s flagship platform - as amortisation of tooling and other required investment is unlikely in a time frame of less than five years. Themba Mtati, MD of Yenza, who travelled from Port Elizabeth to the event concurred: “We get Requests for Quotations that are not aligned with our process capabilities and this must frustrate the buyers when we decline to quote. We do want to quote where we have the capabilities. This format allows us to see a huge number of parts and identify what we can quote on.” Yenza doesn’t supply TSAM yet, but is positive about the opportunities offered. “We have networked with tier 1s who we could also supply into where we might not have all the machinery needed but could supply a sub-component”. 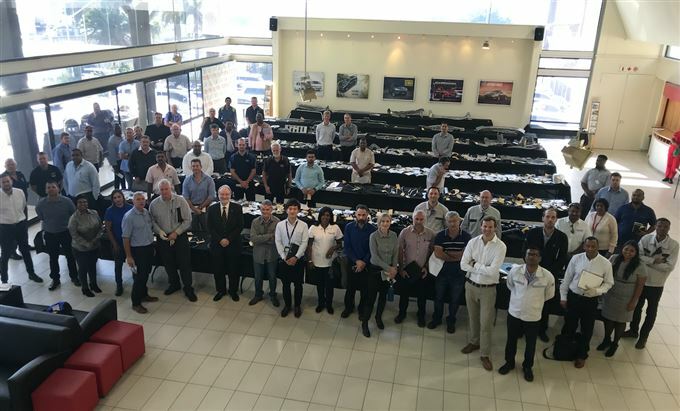 Michael Waldburger, General Manager Purchasing TSAM was pleased with the support from suppliers and positive engagement with existing and potentially new suppliers.